What is the power of the law? Can laws help to improve the situation of LGBT+ people around the world? After equal access to marriage in so many countries, what’s next? Malte Stübinger, TOP10 Finalist of the RAHM Contest 2017 and lawyer at Latham & Watkins, underlines that “law can help shape future society to a great extent”. Théo, Project Leader at RAHM: Hello Malte, you are a successful lawyer at Latham & Watkins and you have been shortlisted in the TOP10 of RAHM – The Global LGBT Leadership Contest in July 2017. The lawyers job – in short – is to defend the rights of the accused but also to advocate for them as well as to convince the judges. How did your professional experience help you to convince the RAHM judges? For which cause did you advocate at RAHM last year? Malte Stübinger: Honestly – I cannot pin down what it was specifically that allowed me to proceed to the Top 10. I was having great fun all day and allowed myself to let creativity really float. I did not primarily apply for RAHM because I wanted to win. I wanted to meet people, hear their thoughts and exchange ideas. And exactly that was what I experienced: There was a great spirit of collaboration in each of the teams that I was assigned to. Maybe my open mindset allowed me to communicate really well with the other participants and help nourish that atmosphere. Oh, and I do not take myself too seriously. It always helps when you can laugh about yourself with others without becoming bitter. And I do that regularly. Théo: Marcus Tullius Cicero, Xi Jinping, Barack Obama, Robert Badinter, Jacques Vergès… So many lawyers have marked the history of humankind. Who is the one lawyer that you admire the most and are there any that you would perhaps criticise? Malte Stübinger: Puh, tough question. Someone who has often inspired me over the last few years, especially when learning about her impressive case record, is US Supreme Court Justice Ruth Bader Ginsburg. She is a remarkable role model, not only because of her strong voice for LGBTQ and civil rights issues, but because she has a very strong sense of justice, equality and equal protection under the law, and shows that in each of her opinions in a unique and marvellous style of legal writing. Even more than looking up to the very extraordinary individuals, I like to look around me for inspiration, though. I have the greatest respect for everyone who uses their potential and intelligence not only for their very own good, but is willing to give back something – for whatever good cause they think is worth their personal efforts. Théo: If you could mark the history of humankind, for which subject would you like to advocate? Malte Stübinger: Naturally, the first thing that comes to mind, would be LGBTQ issues, because without the rights and protections we do have today, I would not be able to live the life I am living, in so many different ways. That being said, I do believe that we, as a community of advocates and fighters for human rights, regardless of our professional background, should always remind ourselves of the bigger picture and the struggles other underrepresented minorities are facing around the globe. There are still millions of women not enjoying the same rights as their male peers, minorities of different skin colors are being suppressed, and let’s not even begin talking about the discrimination, torture and killings many humans are facing on grounds of their religious beliefs, simply because of a lack of public education. In all of these communities, there are people standing up against the status quo, because it is wrong, and even though these brave individuals bring great danger to themselves. We can all support each other and learn from each other! 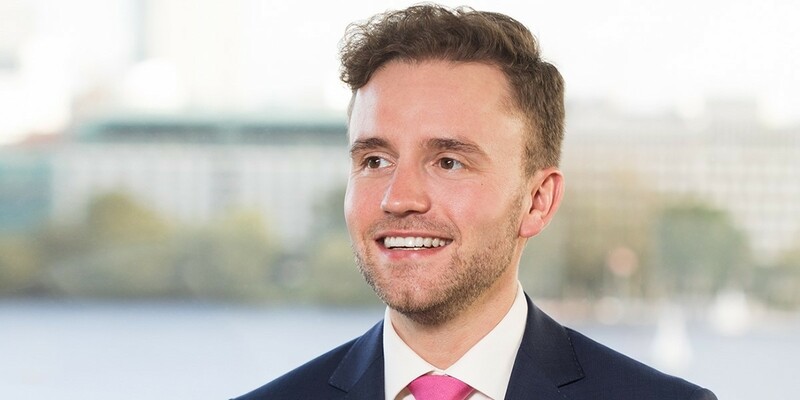 Théo: In many more countries, the right of equal access to marriage is becoming a reality (see our exclusive interview with Tim Wilson, MP of the Australian Parliament). But what’s next? If this right is very symbolic, it does not say a lot about the pay gap between heterosexual and LGBT people, about violences against LGBT and about discrimination at work. Which laws would protect the minorities better? Malte Stübinger: There are several interesting projects going on that lobby for legislative activity in this field. The most remarkable probably is the initiative for an amendment of the Grundgesetz (our constitution) to include sexual orientation and identity into its Article 3, the provision that speaks on equality under the law. I am a supporter of those reform ideas, that are also backed by the Völklinger Kreis eV. Some people, also from within our community itself, advocate that such a change of the law in the books would not affect the everyday life of individuals and not have the power to really fight the discrimination many LGBTQ people are still facing. I do not follow this line of argument. I strongly believe in the transformative power of the law, and I am convinced that sometimes the legislator is the key player to driving social change. Living in a representative democracy, those people are the representatives of all the individuals in the country, after all. Take women suffrage, take the African-Americans’ struggle for equal rights, take equal marriage – the law sets the stage that we all play and live on. And once a previously strongly disputed issue becomes a matter of fact by the power of the law, it will normalize. You will never convince every opponent of a social change with arguments and reason, but the majority will, sooner or later, follow the lead and amend their behavior accordingly. Ten years from now, there will be no textbooks in school anymore, teaching that marriage can only be a thing between a man and a woman. Future generations will grow up to learn that it is perfectly normal for some people to marry the opposite gender, while others fall in love with the same. This is where we want to be, and the law can help shape future society to a great extent. Théo: Latham & Watkins has been awarded ‘German Law Firm of the Year 2018’. Why is that? Is that linked with the outstanding support that the law company has given towards LGBT issues; or do you think Latham & Watkins could improve with regards to social responsibility and such burning issues? Malte Stübinger: Our goal is to make market leader for complex legal advice in Germany by 2020, and we all are working very hard on getting to the top – where we already firmly stand in the US – by being the best advisors we can for our client, every single day. It comes with great pleasure for me to see that Chambers realizes and honors our efforts with this amazing award. I am also very happy to say that, on this way, our core values, such as an open and inclusive working environment, do not fall by the wayside, but are actively kept up with great pride. Our diversity initiatives within the firm – which I am happy and proud to be able to contribute to – are more active than ever, creating visibility to the inside as well as outside the firm, and we are actually growing. We just recently added a new affinity group to our existing groups (which we already have in place for LGBT lawyers, women lawyers, asian lawyers, hispanic lawyers, black lawyers, and parent lawyers) for first generation professionals – a topic that is most pressing in the US, as most people start into their careers with significant student debt on their shoulders, but is also an issue for students in Germany. Each affinity group is provided with the support they need so as to make their cause visible. What it boils down to is: we really feel in the activities we are planning and hosting that the firm is committed to fostering a diverse population, that our individual characteristics are welcomed, not viewed as weaknesses or obstacles of any kind, because we know that we are the better firm and provide better advice to our clients the more diverse we are.